In warehouse environments, safety is of the utmost importance. Upright racks can easily be damaged by forklifts. 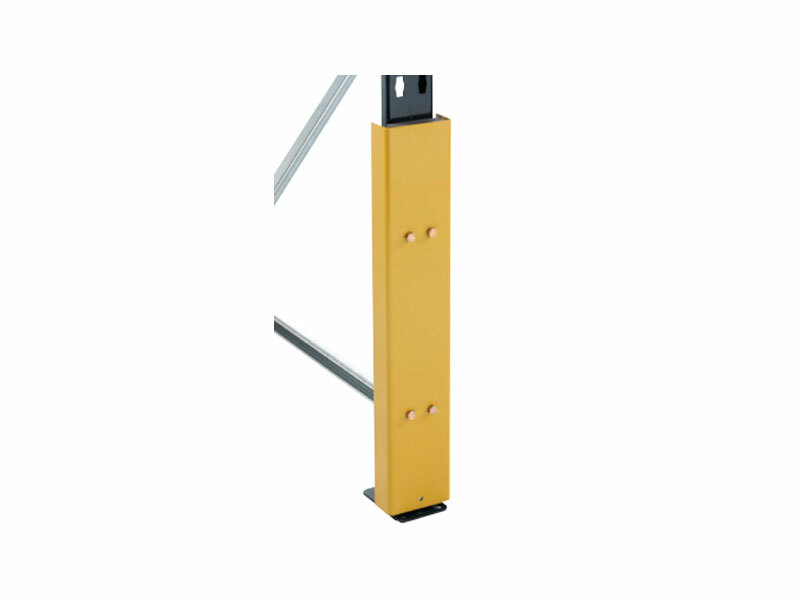 The steel upright racking protector is designed to protect the lower sections of uprights. Accidents happen, especially in warehouses where heavy equipment is used to properly maintain and store items. Compromised uprights can cause serious damage, injury, and legal fees for companies. The upright racking protector reinforces upright racks to prevent accidents from happening. 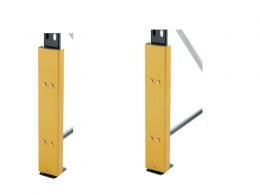 You will find upright racking protectors most typically in warehouse settings. With aisles of pallets and racks containing various products of all sizes and types, safety is vital. Racking protectors are also convenient for businesses – such as home improvement retailers – in which products are stored on racking units for customer convenience. Most typically, warehouses will utilize this product. Safety is a top priority in designing a warehouse, and the proper racking protector can save businesses thousands in damages, worker’s compensation, insurance rate increases, legal expenses, and much more. 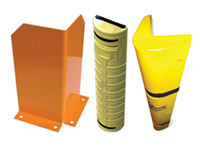 The upright protector channel kit is specifically designed to protect the lower portion of upright shelving. These steel protectors with foam inserts are tightly secured to the upright, providing extra support in the event of an accident. 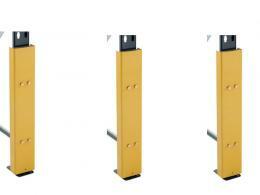 They come in three convenient sizes – 425mm (H), 650mm (H), and 950mm (H) – depending on the needs of your warehouse. The Workplace Depot offers a standard 1 year parts and labour warranty.